How can we increase the bio-availability of turmeric, what other ingredients increase bio-availability? How can we increase the bio-availability of turmeric, what other ingredients increase bio-availability? Curcumin is an isolated yellow coloured component of the turmeric rhizome (curcuma longa), turmeric has been used traditionally since the centuries in India as a spice and as a natural remedy for various illnesses including, hepatic diseases, anorexia, cough, asthma, allergy, sinusitis, coryza and much more. It is interesting to know that more and more extensive research is going on in regards of the active component of turmeric over the past years, which plays a key role in the treatment and prevention of the widely existing pro-inflammatory illnesses, including cardiovascular, metabolic, pulmonary, autoimmune, malignant tissues and neurodegenerative disorders. Bioavailability is the amount of the dose that is available in the blood or it is the small or tiny amount of supplement or drug, which reaches in the bloodstream after oral administration. Curcumin is the bioactive component of the turmeric, which is responsible for all the health benefits. Though it is an effective and crucial component, but it naturally comes with a major drawback that includes bioavailability. We can add some natural ingredients available in the Mother Nature to increase the bioavailability many folds or by simply formulating curcumin by attaching various molecules. How can we increase the bio-availability of turmeric? Many clinical data revealed that turmeric and its active bio-components “curcuminoids” are effective and safe even at higher doses, if used to prevent various diseases. In spite of its wide spectrum of activity, collected data also show that curcumin is poorly soluble and less biologically available because it easily gets metabolize by the various enzymes,to overcome this disadvantage, isolated active part of the turmeric (curcumin) can be formulated in different ways using different techniques. This is unfortunate that biomedical utilization of curcumin is little bit tough to achieve, so more attention is needed to improve the bioavailability of curcumin. .
•	Bioavailability can be increased with the help of gammadextrin and pure curcumin combination (95 percent extract). It was found that the resulting combination was very potent, it was around 4-6 times better than the pure curcumin alone; since gammadextrin is hydrophilic inside and hydrophobic outside, in this way it blends easily and also provides protection against the enzymatic degradation. So hydrophobic curcumin gets the water friendly cover around it, which help in better absorption and slow degradation of curcumin in the human body. •	Curcumin’s bioavailability can also be enhanced by encapsulating curcumin with beta- cyclodextrine, which may greatly enhance its half-life and cellular uptake. This method is superior to free curcumin. •	Nanoemulsion is one of the techniques to enhance the bioavailability and the solubility of curcumin, which may improve the bioavailability many folds compared of conventional turmeric. •	Another approach to improve the bioavailability of curcumin by attaching lyposomes, this technique will help in better solubility and absorption. •	Poly lactic-co-glycolic acid: to enhance the absorption of curcumin, it is often encapsulated with Poly lactic-co-glycolic acid, which promotes rapid and efficient uptake and slow down the metabolism than the native curcumin alone. •	Apart from above these, it is also possible to improve the bioavailability by adding natural compound “Piperine”, which is an active component of household spice, black pepper and a pure extracted component just like curcumin. It prevents the metabolism of curcumin, by inhibiting the curcumin degrading enzymes and at the same time promoting rapid absorption, thus increases the bioavailability of the curcuminoids up to 2000 percent, within one hour after consuming orally. Piperine also increases the serum concentration and the rate of absorption. 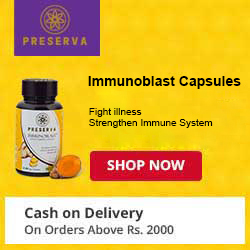 It is the natural way to overcome low bioavailability of curcumin or turmeric. •	Curcumin-Genistein combination: Curcumin with soya lecithin shoots the absorption of all the polyphenolic curcuminoids (curcumin, demethoxy and bis-demethoxycurcumin) up to more than 30 percent. 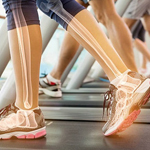 Soya contains an isofalvone known as Genistein in abundant quantity, which helps CFTR gene to work more efficiently with the cystic fibrosis patients, when it is combined with turmeric. •	Taking turmeric with fat is another practice to boost the concentration of turmeric or curcumin. When turmeric is eaten with any fatty substances it directly gets absorbed in the systemic circulation without getting metabolize. What other ingredients increase bio-availability? What other ingredients increase bio-availability? •	Clubbing turmeric with Black Pepper: Adding just a pinch of ground black pepper, shoots the turmeric’s absorption up to 2000 percent. •	Consuming turmeric with Milk or Oils: Olive oil, ghee or coconut oil or low fat milk can directly enhance the systemic absorption of the turmeric or curcumin, in this way turmeric escapes the metabolism from the various metabolic enzymes. To increase the solubility it is better to heat the oils or milk, as heating process also helps fast absorption. •	Taking turmeric with Quercetin: Red grapes, apple, berries, onion, apple cider vinegar, citrus fruits, including green tea, contain Quercetin, a well known plant pigment and a falvanoid that inhibits a particular enzyme which deactivates the curcumin thus increasing the concentration of curcumin in the blood. Dark blue and red colour foods contain the highest quantity of quercetin. Other sources of quercetin are capers, Serrano peppers, red leaf lettuce, chicory greens, raw kale, snap beans, raw broccoli, raw spinach and sweet peppers. This falvanoid ensures the proper curcumin absorption, without being delayed and destroyed. •	Mixing turmeric with Ginger: ginger promotes intestinal absorption of turmeric, since gingerols an active component of it, works synergistically hence improves the bioavailability of curcumin	•	Mixing turmeric with Bromelain: bromelain is a protein, extracted from the pineapple. Due to low absorption rate of turmeric, it is often combined with bromelain for quick absorption and better pharmacological response. 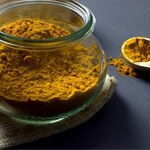 To get the optimum health benefits of turmeric it is better not to waste the time and money on the raw turmeric, which carries little systemic availability, instead, prefer high quality curcumin, which has been already designed to work for maximum bioavailability and solubility to harvest all the health and medicinal benefits.